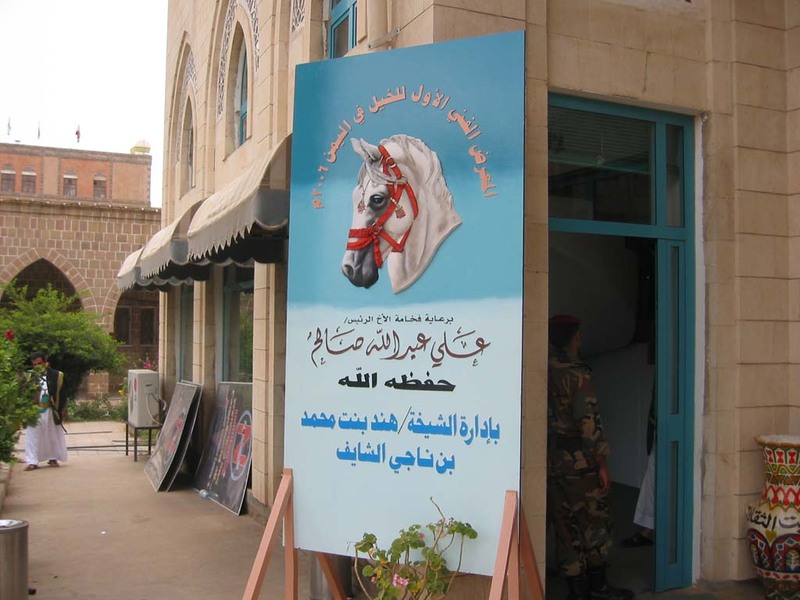 Yemeni Ministry of Culture hold an exhibition of 'Painting of Yemeni Horse' in the cultural house of Ministry of Culture in commemoration of Yemeni Unification under the auspices of H.E. Ali Abullah Saleh, President of Republic of Yemen, in May, 2006. 예멘문화성은 제16주년 예멘통일 기념을 맞이하여 알리 압둘라 쌀레 예멘 대통령의 후원하에 문화관광성 내 '예술의 집'에서 말그림에 관한 전시회를 개최하였다.